It is no secret that there have been increased tensions between minorities and police officers lately, but this is getting a little ridiculous. A simple misunderstanding has turned into a case of “intimidation” after UNLV students and BLM activists were frightened by police officers on motorcycles. Apparently the campus was hosting a get-together where students would read poetry and socialize on the same day when the local police department was supposed to use the area for motorcycle training. This led to a few tense moments as the officers seemed to invade the area with no warning. 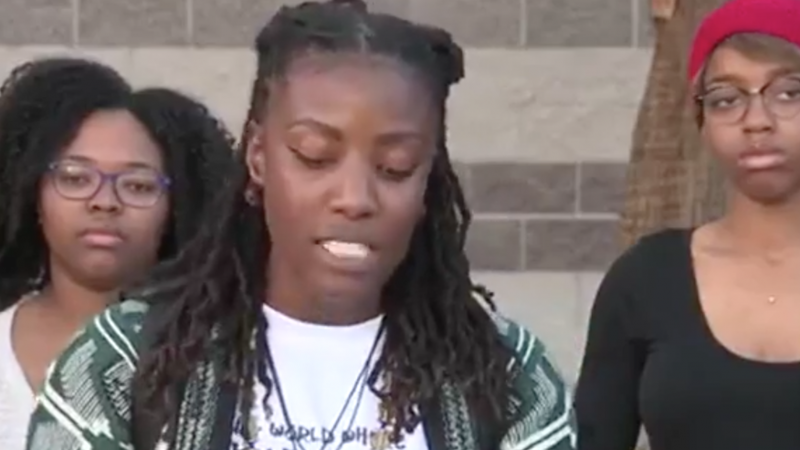 Instead of trying to talk things out and figure out where the miscommunication happened so that it could be avoided in the future, BLM activists held a press conference to claim that they had been scared by the officers and that the LEOs should apologize to them for what happened. According to the police, they regularly use the campus to train their officers on how to maneuver their motorcycles through various obstacles that are packed in tight to each other. The college is set up perfectly for that. The miscommunication happened when the officers planned to train on the same evening that the UNLV students were having their poetry reading. Of course the sound of 7+ motorcycles would interrupt that and anyone would be wary of a group of officers showing up without warning. That being said, trying to make this a race thing when it clearly wasn’t is just not a good look. Video of the incident was posted on social media, but it vindicated the officers. Nothing happened. No fights broke out, no harassment, no arrests, no shots fired, nothing. They just rode around a couple of laps and drove off, probably after seeing that their training ground was occupied already. Despite the pressure to issue an apology, the police officers are refusing to do so. They won’t be disrespected and made out to be the villain in a situation that didn’t really happen. It was barely a crossing of paths, let alone a malicious act. Why should they be forced to apologize? They weren’t targeting the students, who by the way were already in the process of leaving when the men showed up. What would they apologize for?